Sign up on the Sunstar GUM Facebook page for a chance to win a $500 Target Gift Card! Plus, if you get 5 or more friends to sign up, you'll get an additional entry plus new GUM® Soft-Picks®, 15 Count. 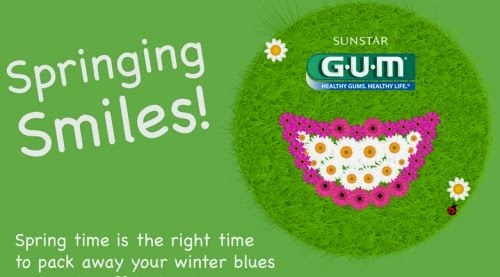 Click the link below to go to the Sunstar GUM Facebook page.